I am in awe of the human body and all the intricate parts that make up a human being. The miracles are endless when you think of how many things we have going on at one time. The fact I can type this message without looking at a keyboard, is astonishing to me. How signals from the brain to other parts of our bodies allow us to move naturally, without conscious effort or delay. When I get a tiny splinter too small to see however it bothers me until I remove it. One tiny hair pulled from my head can be felt. How a smile can make my face flush and my heart flutter all in the same moment. How a loud sound can make me jump involuntarily – while the sweet sound of a favorite song can make me smile inside. The human experience is truly amazing to me. All these things were gifted to us at birth. We were born with so many gifts. And then, after birth, we learned so much more. Not all good. Not all positive. We learned pain. We learned fear. We learned not to trust. We learned loss. We learned many things that have crushed the human spirit and have damaged the human body. I want to help people dig out from the layers yuck that have filled their lives and their hearts and their bodies…and snuffed out their light. I want to help others remove the layers preventing them from being a beautiful creation. For years I covered my fears and sadness with food. Too much food. Too many years. I don’t want that life again. Ever. I have found a better way. I want to live a better way. Everyday. I am in AWE of my new head. My new head that cannot give up on me, ever again. I do not want to be ruled by fear, ever again. Love, Faith, Trust, Joy, Hope, Laughter and Commitment are my new best friends. I want better for me. I want better for you. I know we can ALL have, ALL we need. The secret is knowing what you need. Do you know what you really need? Each day we face unexpected challenges in life. Some pleasant, some not. With each challenge we can choose how to respond. How we want to move forward. Yesterday I was hit with something very BIG to me. It might seem trivial to someone else, but to me it is HUGE. And it was not HUGE wonderful. It was the complete opposite. It felt horrible. I felt horrible. I was shaking inside with anxiety, anger, frustration, grief and underneath all that was true sadness. Deep sadness. I want to modify this to say I don’t believe anyone has the power to make me feel horrible – but I can feel horrible as a result of things that happen. My initial reaction might be anxiety, anger, frustration, grief. And then ultimately sadness…but then I need to choose how do I want to be. Truly be. How do I want to feel. How do I want to move forward. The timing of this is no mistake. Today is Valentines Day – A day when we celebrate LOVE. LOVE in all forms, shapes, sizes. Two weeks ago when this process first started I chose to operate in LOVE. Love for myself. Love for my future. Love for others. Love for gracefully surrendering. I took deliberate steps to operate from a place of Love. I took risks, I made decisions. I made plans with good intentions and I stayed committed to my path. I had thoughts of good intentions and steps with the best of intentions. I believed the best. I acted in the best ways. I am being tested today. I have not wavered from my path, but now I am being pushed and prodded for more. More that does not feel good. More that feels imposing. More that does not support my graceful surrender on my terms, my time. As I have been trying to pack my house to move I am so reminded of how if I had a male in my life – how exasperated he would be with me at this point. Any guy would be saying “just pack the box” or more likely “just pack the damn box” as he might see me sifting through old pictures or baby clothes, or old hats…the voice telling me “just pack the box” is what I needed yesterday from a loving partner and I don’t have that right now. I don’t have the voice or the partner. I will move forward on my path, in the very best way to serve me best. 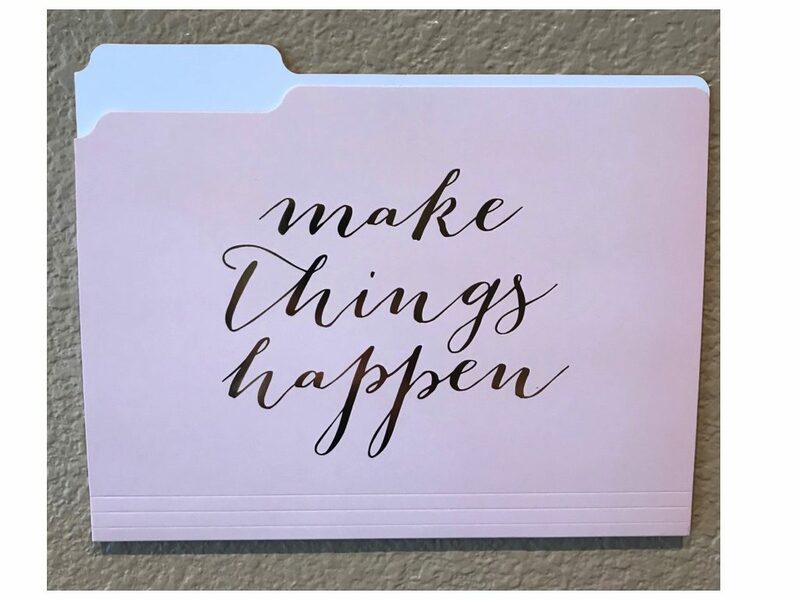 I will make things happen. So how do we move from Pending to Peaceful – without anything changing? How many chances does a person get to do the right thing? How many times do we allow ourselves to be affected by other’s actions before we say enough, no more. NO Thanks. How many chances does a business get to do the right thing? How many times do we plead our case before we say enough, no more. NO Thanks. How many chances do we give anything or anyone to do the right thing? Some things the number is “0”, as in “zero”. Meaning we have zero tolerance for somethings and don’t even think about it, not even one time. Other things might get 3 strikes…and then it’s “game over”. And then there are those things, where the only number is when we are done, truly done. This post might have been more appropriately titled “Truly Done” instead of “How Many Chances.” Being truly done is the key measure of how many chances we will give something of great importance. We have to be done, “Truly Done” before we will change our response, our behavior and choose a new path. Everyone’s “Done” meter is different. No one has the same limits or boundaries or tolerance. Each one of us has our own “Truly Done” threshold. I just received the eleventh unsatisfying response from the same organization. Eleven times I asked for a company to look at their part, accept responsibility and do the right thing. Eleven times I took the time to document my case, ask for information and look for a glimmer of hope the company would accept some responsibility for their part. I was disappointed once more. I told myself I need to be done with them. Truly done. I need to stop trying to get them to be something they are not. Fair. Decent. Responsible. The eleventh response sent me down memory lane – to several key times in my life when being done was life changing for me. Being done meant being employed or not, married or not, moving or not. HUGE choices. HUGE changes. HUGE impacts. I reflected back on all the times I allowed myself to stay open, be open. Waiting for someone or some company to do the right thing. The times were many – maybe too many for my own good. But with each situation I felt I had to give it all the chances I possibly could. I had to stay to the bitter end. I couldn’t leave early. Just as I have never left a concert or a movie early – I had to stay to see the rolling credits…and in some cases I was still there when the lights came back on and the clean up crew was there to clean up the destruction from it all…I had to stay until I was truly done. I love this about me. I love that I don’t give up easily. I love that I have allowed the same people many chances with my heart. I love that I have allowed the same companies many chances with my time, my talents and my heart too. I have given as Many Chances as it takes for me to be done. Truly done. Today, I can finally say I am done with this company and their eleventh unsatisfying response. NO Thanks to another chance. His comment was perfectly timed & spot on. I could not have categorized my sentiments at that moment, more perfectly. 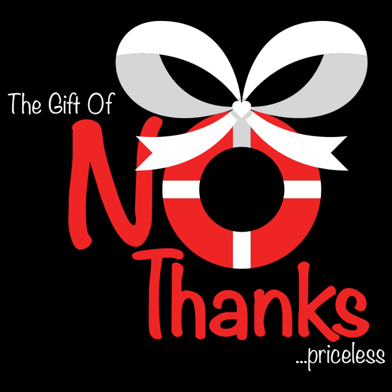 I was deeply disappointed with a decision at work – in stark contrast to how I thought things could be. I had high hopes shattered by executive decisions and directions. I did not realize, until that moment how deeply invested I was. How hopeful I was. How deeply disillusioned I became – until he said it out loud. That comment has stuck with me through the years. At first his comment stung and compounded my hurt. Like something was wrong with me. Like I should not allow myself to get disappointed. Like I should not be so invested. Like I should not be so hopeful. Over the years I have been gifted new reasons to feel deeply disillusioned. While being deeply disillusioned still stings and hurts – I have come to be grateful for this feeling. I am grateful, because it shows I still care. I still believe in better. There is still a light inside of me that believes in better. A precious light. A positive light. Being deeply disillusioned shines a light on good work to be done. Being deeply disillusioned can be the perfect time to double down. How does a house come to be? It is first imagined, then put on paper, plans created, permits secured and piece by piece, a house is built. This is the case with anything. It is first imagined. And then steps must be taken to make it so. For many, many years I have kept the picture above on my refrigerator. My head – taped on top of this model’s body – wearing a white top I loved. I was imagining me looking like this. I bought the white top years ago (and a black one too) – imagining me looking like this for many years. Unfortunately, 3 more loved ones passed that same year, which sent me on a tailspin of grief. Grief consuming many years. My “Imagine” picture and the fortune moved to a hidden place on my refrigerator where I could easily ignore them. Years of grief added 50 extra pounds to my body, my heart, my soul. Now my journey to this imagine goal was going to be harder than ever. It was going to take much more effort. My priorities had been placed on a back burner, becoming more and more dim every day. The light was fading and the journey to my goals felt even harder now. I was older. I was heavier. I was more tired. But I couldn’t give up. I would NOT let myself just give up. Nope. I could not give up, even though the daily fight was not serving me. At times it felt like the fight was killing me. At times I questioned the struggle. Was it worth it? Why don’t I just “settle” and be ok about being heavier, more tired. But I couldn’t. I couldn’t settle. That would be giving up on knowing I could be better, do better. So I started over every morning (for YEARS) with renewed motivation that TODAY would be the LAST day I would eat my feelings away. Each day I would do well until about 6 pm, when I would succumb to stuffing my feelings with food. The evening diet killers would come rushing out every evening when I was too tired to resist…and I would fall victim once again. Once I took one extra bite, I took two, then three, then closed my eyes and quickly lost count. This sent me on a downward spiral for the remainder of the evening. I would eat 90% of my calories after 6 pm each night…a vicious cycle which did not serve me. I did not feel good during the day. I felt beat up every day. The fortune was right. I had remarkable power I was not using. So after years of futile restarts…I committed to do more than just “Imagine” being in that model’s body. I had to stop giving up on me. I had to make me a priority – above all else. I had to “Make It So”. Steeped in new grief – with my dearest friend in her last month of life…I knew her passing would take me under if I did not do something different. I knew I had to close the gap between my dreams and my actions. I had to inch closer to my goals with solid small steps, each day. I was pretty much holding my breath that last month. I had no idea it would be her final month on Earth – but I knew life was fragile. Love was strong, but Life was fragile. She was fighting, fighting all the way and I believed she would beat cancer. I prayed she would beat cancer. I begged she would beat cancer…and then I got quiet. That last month of her life – I got quiet – very quiet. I found a couple projects to keep my hands busy and began to “Make it So”. I upped my imagining by ordering a 6’ cardboard cutout with my head taped on a new model. The model was wearing a beautiful white fur sweater (which I had hanging in my closet) and great pair of white jeans with pearls…pearl jeans. 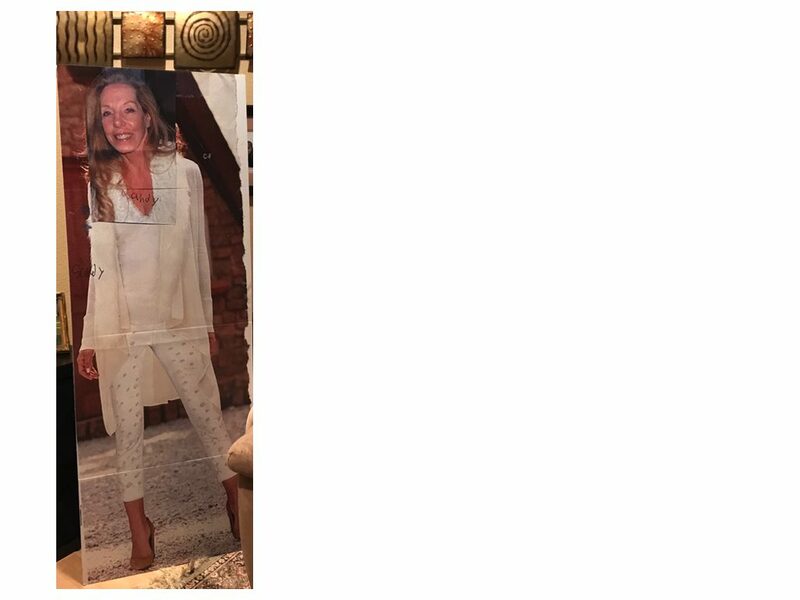 I thought I would use the gigantic cardboard cutout to put in front of my kitchen door at night – to stop my evening, eating, frenzies. I only did this one night and the silliness seemed even too silly for me. But it got my attention. And I started to use my remarkable power for good. A few weeks later I re-positioned the picture on my refrigerator to be in direct line of site every time I opened the refrigerator. My friend had passed and I needed every motivation I could muster to just get through the day…I looked at the refrigerator picture and my cardboard cutout as one of the last silly memories I had shared with my friend…she was always a kind supporter of my weight loss efforts and my many shenanigans. So these pictures became even more important to me then. I knew I needed to make every day count to move from “Imagine” to “Make it So”. I had perfected the art of Imagining for many years. Even believing the picture on the refrigerator was really me. I had been opting out of any real pictures for some time – so this model picture had become my picture of me. I didn’t want real pictures of me because I felt horrible. And I looked worse than I felt. You can’t feel bad and look good. It just isn’t possible. I lost years of not many pictures of me. I love my current “Make it So” tour. I have hit new lows (on the scales) I had not seen in over 11 years. And new highs at life’s simplest pleasures. I smile at the cardboard cutout in my office and I laugh out loud thinking what the Comcast guy must have thought when he replaced my modem, just last week. The refrigerator picture is placed perfectly for me to look at it daily – every time I open the refrigerator. I can look at the fortune from 11 years ago with open eyes and excitement. 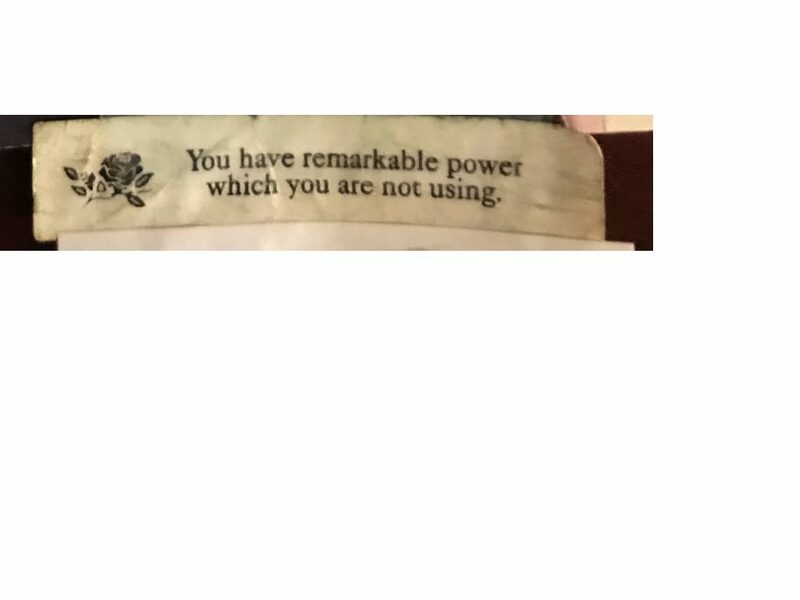 I am now using my remarkable power for good. I am so excited to embrace the goals I have for me and I am so glad I never gave up on me. I never gave up on my “Imagine” goals. However hard it was to struggle all those years – I am so very grateful I kept my “Imagine and Make It So” goal my priority. There is nothing worse than turning out the lights on a Dream. There is nothing better than “Making it So”. Probably the two most powerful and opposing positions we will ever take in our life. Resist or Embrace. They are complete opposites. If you compare Resist and Embrace to the North and South Pole – there is not a direct line of site between the two. The curvature of the Earth does not allow you to be at one pole and see the other pole…it is not possible. Much like resist or embrace. We cannot imagine seeing our way to embracing when we are deep in resistance. These polar opposites were best modeled by my momma cat many years ago. She delivered 5 healthy kittens and a week later became deathly ill herself. Three surgeries and 4 weeks later, the vet asked me to bring in one of the kittens when I brought in the momma cat for her post op check up. I struggled to get the momma cat in the carrier to take her to the vet. I tried to be so careful as she had been through so many surgeries and was so fragile but she fought me for almost an hour. I tried everything. As fragile as she was, she managed to get all 4 paws on the outside of the carrier and resist being put into the carrier. For a LONG time. Finally, I got momma in the carrier – and the kitten in a separate little box and off to the vet we went. Momma cat was recovering well from all the surgeries and the vet said the kitten looked good too. I was not doing near so well. I had not slept in 4 weeks as I had become the surrogate mom to 5 kittens, bottle feeding them every 2 hours (along with my sister and niece who helped me). Thankfully, the momma cat and kitten were doing well – and momma cat was on the road to recovery. When the vet was done with the post op exam – he started to put the momma cat back into the carrier. I shared with him how I struggled for almost an hour to get her inside to come to the appointment. Without saying a word the vet picked up the kitten and put the kitten inside the cat carrier. Without hesitation, the momma cat walked inside the carrier on her own and laid down with her kitten. I almost fell through the floor. I was dumbfounded. I could not believe my eyes. I had witnessed a complete reversal of resistance to total embrace, within seconds. I don’t know that I have ever witnessed such extremes since – or ever will – but that day, that moment, is forever etched in my mind. Whenever I hear the word resistance – I think of the momma cat and her fear, her anxiety of being locked inside the carrier – even if it was for her own safety – she resisted the carrier, every step of the way, until there was a greater purpose for her embracing the carrier. When the momma cat was faced with protecting her baby, she embraced the carrier and walked in on her own accord and settled in, with zero resistance. I witnessed a beautiful example that day of moving from resistance to embracing. What would embracing look like? What would embracing feel like? What would it take for you to move from resistance to embracing? What would it take for you to embrace healing? Are you ready to stop resisting and embrace healing? After Christmas and before the New Year has been hard. Thank goodness for Hallmark movies where everything ends like we want things to be. Not real life – but better. This year has me missing two very special people from my life. It feels unreal. Like a bad dream. Wishing I could wake up with a different ending. I know grief. Too well. It had consumed me for way too long. Earlier this year I committed to myself to “treasure what was” and “not mourn what was not”. I know mourning something that never was, is futile. KNOWING vs DOING are two very different things. We can know something without a doubt – yet still succumb to doing something that is not in our best interest. DOING something that does not serve us well. Ever. Yet we still DO it. Over and over again. We can know the stove is hot and yet still reach out to touch it…hurting ourselves in the process. We have to consciously KNOW better and consciously DO better to create positive direction for ourselves. We have to believe DOING better will create a better result. We have to KNOW not to touch the hot stove and BELIEVE without a doubt, we are better if we do NOT touch it. We must truly believe it is a more positive path for us…Once we believe DOING better will serve us – we have won the battle. Almost. We can put down the amour, let go of our resistance and settle into peace about our positive direction. It took me years to see how mourning had hindered my forward progress. It took me years of wallowing, to accept a new path – a more positive path to recovering from loss. When my dearest friend passed this year, I knew if I wallowed deeper into grief I might never recover. She was so special to me – such a gift to me for 20+ years, I feared what would be left of me, if I did not change my thoughts on grieving. I truly wanted to treasure everything I loved about her. I knew enough about grief to know it was like quicksand to me…swallowing me up if I didn’t change how I was processing loss. Deep loss. I truly wanted to honor and treasure all we had shared over the many years. A month before she passed, an impromptu group text started with a couple pictures from our treasured times…times we dressed up as old ladies with walkers, (before we were old). The texts went on for hours and was blowing up a ton of phones – with memories, treasured memories of years gone by and then her most recent video of her young grandson (at her request) pushing her through the water fountains (in her wheelchair) on a hot summer day. He was laughing, she was laughing and their joy was infectious. Thank GOD we had that day. Thank GOD we shared our pictures that day. It was the last we would all share as a group – some of the highlights of our treasured years together. That afternoon of sharing showed me the real value of treasuring “what was and what is”. On that afternoon of sharing with our friend – I wanted only for her to know how special she was to me…and the joy she had brought into my life. And she shared with all of us the joy she continued to share with her family. The joy of treasuring precious moments with loved ones. Treasuring what was on that afternoon, allowed my mind to wander 5 years earlier, when my older sister and I were in the Fabric store together buying flannel for our mother. Our experience at the cutting table was interrupted by a lady about our age, looking for tulle…she interrupted the person cutting our fabric to ask about tulle and she was most impatient…she seemed to be on a tulle mission. We had no choice but to listen to this lady asking about tulle and the customer service rep asking her what specifically she needed. At one point the lady on the mission said “it’s not for tutus, I think I am a bit old for that”…my sister and I knew not to look at each other because we were both about to bust a gut in laughter at hearing this abrupt lady talk about tulle and tutus…thankfully we held our laughter til the lady had walked away and then glanced at each other and both got the giggles so bad we could not even talk or ask for what we needed cut. It took us quite some time to recompose ourselves and place our orders and then of course we almost peed our pants from laughing all the way out of the store….oh my goodness – I cannot even think of tulle or tutus without recalling that blessed memory with my sister and us loosing it in the fabric store. My sister passed almost 4 years ago from cancer and my grief had been deeply crippling . Losing my friend and a young family member from our family this year, has felt beyond crippling. The compound loss feels unimaginable…how do we do life going forward? I can only do today – in the most positive way…when I focus on what was, what is and not mourn for what was not. Treasure, relish, delight in all I have shared with all my loved ones..past and present. And so as this year comes to an end…I do treasure and delight in every LOL moment of this year…and there were many. I treasure the tutu moments with my sister…and so many other uncontrollable giggle moments throughout the our 60 years. I treasure the leopard lady moments with my friend(s) and so many giggles and glances that took our breath away…over our 20+ years. I treasure the worms my nephew discovered with my grandsons and the deep love he had for my niece and their baby. I treasure it all. All of it. I have been so very blessed to have shared the years I did with these beautiful beings…the simple, silly moments, that took my breath away. I pray I always focus on what was. What is. And relish each and every moment. Happy New Year to what was, what is. Special cooking and baking done, check. Attended beautiful church service, check. Kids and grand kids healthy, check. Families arrived safely from out of town, check. Couldn’t want for more, check. Everything important seemed well and good. Wonderful check. And then…something happens and taints all the good. How do we allow this to happen? Too vulnerable to resist having a negative reaction? BUT, we can be too tired, too hungry, too lonely to let positive prevail. Falling into the pit of negativity. Finding fault and then finding reasons to justify the fault. No matter the issue – finding fault feels horrible. No amount of justification can make finding fault, feel better. On top of finding fault – we might then nose dive into stuffing our feelings with cheese cake, fudge, anything in sight and feel physically horrible on top of feeling the hangover of finding fault. Maybe we even took it one step further and shared our negative feelings with someone – and have now spread this negativity to a bigger footprint. So how do we stop? How do we get back our peace? Our serenity? Our mindful thoughts? Kind thoughts? Positive thoughts? How do we calm ourselves and get back to the person we want to be? Refocus on all that was good. Refocus on all that was positive. Prioritize our heads and our hearts on those things that serve us. Let go of fear, people and things that do not serve us. Let go of thinking others are clueless, selfish, disrespectful. Finding fault will only hurt the one finding it. Choose to let go of this burden. Allow positive thoughts to flow back into our heads and hearts. Choose the example we want to be…and be it. I have been blessed to have neighbors above me with young children who play the piano. Daily. Regularly. Without fail. When I was hurting and in fear for my dearest friend and her cancer diagnosis – the piano played. When there were struggles inside my own family – the piano played. When I was challenged with my own health issues – the piano played. When my dear friend passed away – the piano played. When my niece lost her husband to cancer at the very young age of 30 – the piano played. Thank GOD and the children above, for their piano playing- everyday. Their music has seen me through some very sad and painful moments. Their music has brightened my day – lifted my spirits and blessed me in ways too numerous to count. My 4 year old granddaughter dances ballerina style while the beautiful piano plays above. My 16 year old grandson smiles and says “you can’t even be mad because they are so good”. He is right. They are so good. The piano became much more than music to me a long time ago. It became a beautiful metaphor about Life’s Priorities. A great reminder how we must put time and effort into our dreams – our priorities. If it’s important to us – then we need to spend focused, dedicated time, daily. Years ago, when I fantasized about playing piano – I was gifted a piano and then I took lessons…a few lessons. I hardly practiced. I hated the metronome. I didn’t want anything monitoring my timing. I didn’t want to learn the notes. I just wanted to sit in front of the piano and play – beautifully – without the daily grind. I wanted instant success, without any effort. Same thing happens to so many with weight loss and healthy living. People fantasize about being healthy and being a good weight – instantly. I did this too. I would DREAM about being thin and fitting into anything I desired…and then I would get depressed with the reality of “now” and I would eat my feelings into deeper despair. A vicious cycle. Dream. Get depressed. Eat. Gain more weight. Repeat. Repeat. Repeat. So how do we embrace “now” with enough courage to get through TODAY? Just like the piano – we start right here, right now. The first steps are not going to be great. We will hit some horrible notes and our timing will be off and it will not be so pretty – to start. BUT, if we don’t stop, and if we apply ourselves everyday to walking forward, we will get better and better and better. Everyday will be better. And soon our walk will be blessed with beautiful sounds and sites. Trust me. Don’t focus on the scales – just focus on what you do TODAY to make progress. Just one day at a time. Tomorrow will take care of itself, if you focus on today – right now. I am so grateful and blessed by those beautiful children and their daily piano playing…their music lifted me through some sad times. Their daily piano playing was like a living metronome for me. As much as I hated a metronome years ago – I am now so grateful and appreciate the value of a metronome for living, to keep my feet moving in the direction of my dreams. As I write this, the clock above my computer ticks, ticks, ticks…taking care of today, one tick at a time. A metronome for living is always there for us…some sounds more beautiful than others. We just have to trust we can move forward – one beat at a time.